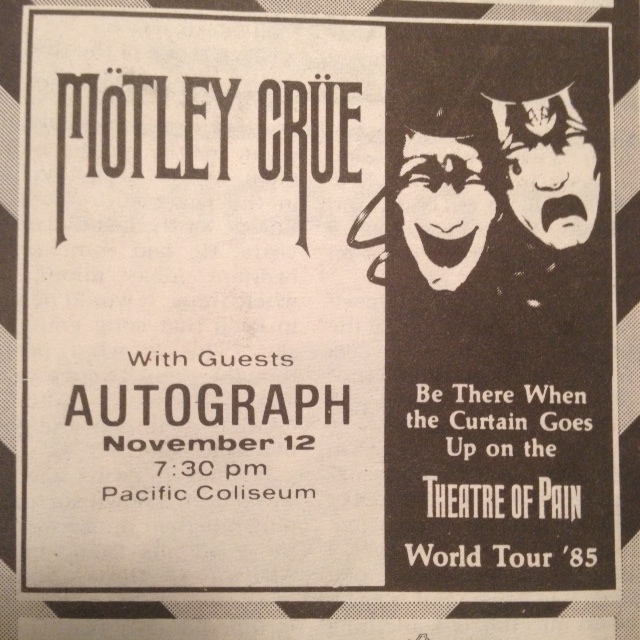 Motley Crue are the main attraction at the Pacific Coliseum this Tuesday, but their opening act, Autograph, includes another hero as far as young guitar enthusiasts are concerned. Thirty-year-old Steve Lynch is–like fellow axeman Eddie Van Halen–one of rock’s most innovative and technically adept players. His work on Autograph’s 1984 debut LP Sign in Please had a lot to do with that record breaking into Billboard’s Top 30 and selling over 800,000 copies worldwide. Sign in Please produced two hit singles, “Send Her to Me” and “Turn Up the Radio”, the latter tune boosted by Lynch’s tricky right-hand hammering technique (he’s even written a 72-page instruction book, The Right Touch, that studies this approach). Raised in Seattle, Washington, Lynch switched from bass to guitar on September 18, 1970–the day his hero, Jimi Hendrix, died. He has since played with a variety of bands, including Savoy Brown for a brief while, and done session work for ELP’s Greg Lake. He was also selected by the American Institute of Guitar as the featured guitarist at the New York Guitar and Music Expo, where he gave demonstrations and took part in panel discussions, with such veteran players as Les Paul and Johnny Winter. 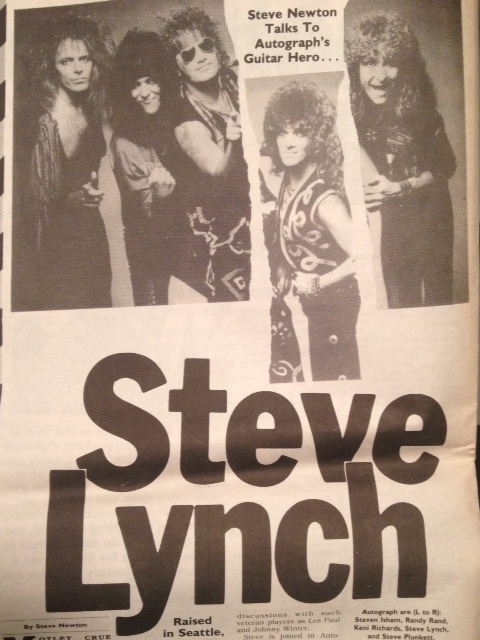 Steve is joined in Autograph by bassist Randy Rand, drummer Keni “Richetti” Richards, keyboardist Steven Ishanm, and lead vocalist Steve “Plunk” Plunkett. Their new album for RCA Records is titled That’s the Stuff, and “Blondes in Black Cars” is the lead-off single. Steve Lynch called the Straight from Milwaukee, Wisconsin last week at the start of the Motley Crue/Autograph tour. He talked about his playing style, his interest in making movie soundtracks, and his touring partners from last year, Van Halen. I understand you studied at the Guitar Institute of Technology in the seventies. Is that where you developed your right-handed hammering technique? Well, they didn’t teach it there, you know, because very few people even knew it existed at that point, back in ’77. The first Van Halen record wasn’t even out yet. How I got interested in it was through Emmett Chapman [the inventor of the Chapman Stick, a ten-string, guitar-like instrument specifically designed for two-handed tapping]. He did a seminar there, and I cornered him afterwards and said, “So how do I do this?” [laughs]. He gave me a couple of pointers on how you could do it on guitar, and I took off from there. Were there many other rockers at G.I.T. when you were there? No, there were actually only 60 people in the whole school. It was still very new. Did your time at G.I.T. pay off musically? It helped out a tremendous amount. I was really what you’d call a standard blues-rock type player before I went there, and it really opened up a lot of new doors for me. How did you come to write your guitar instruction book, The Right Touch? Well, I was practicing that technique that I got from Emmett Chapman, and Tommy Tedesco and Howard Roberts saw me doing it, and they said that I should write a book about it. Then when I got done writing the book Tommy Tedesco turned me on to his publisher, Dale Zdenek Publications, so I got it published right away. And it’s been doing pretty good. Do you have any idea how many copies it has sold? I’m not really sure. Maybe around fifty thousand. As far as I know it should be, yeah. The distributor is Belwin Mills, and they’re a worldwide company, so I’d imagine that it would be available in Canada. Because I know people that have gotten it in Europe and stuff. 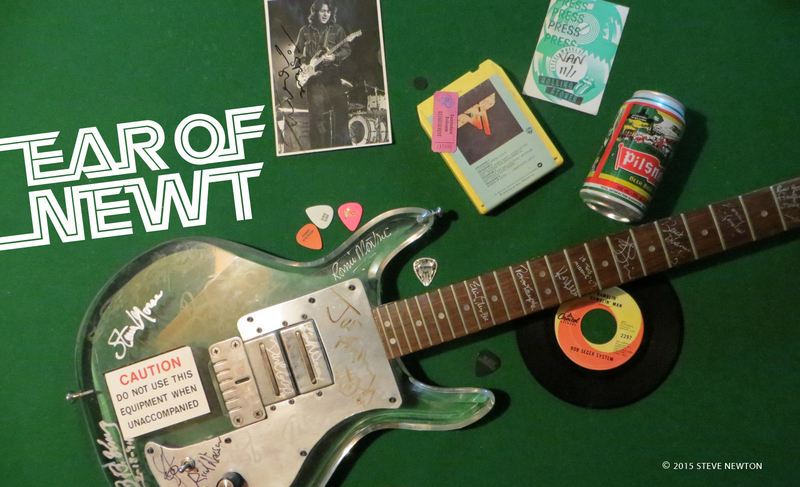 Was Eddie Van Halen much of an influence on you? No, he came along a little bit too late for me. I had already gotten my style down by the time he came along. I think he’s a fantastic guitarist. He opened the doors for that hammering technique. But Harvey Mandel used to do it years ago–he’s actually the first one I ever saw do it. I saw him doing it when I was only about 14 years old. I was lookin’ through the back door of this club, and he was doing a sound check [chuckles]. How did you get the opening spot on last year’s Van Halen tour? Well, before that tour we weren’t sure if we could even become a group–everybody was playing in different gigs, you know. Our bass player was in Lita Ford, the drummer was with a group called the Coup, our keyboard player was playing with a chick named Holly Penfield, the singer was playing with Silver Condor, and I was teaching, doing seminars at G.I.T., and playing with four different bands. So it wasn’t that easy to get together, but we got together long enough to make a demo tape. Our drummer knew David Lee Roth, and David asked to hear the tape. So Keni got him a copy and he listened to it, and he really liked our stuff. He said, “Keni, why don’t you guys get together, and go out on tour with us.” And so we said, “Okay, sounds like a good opportunity!” Cause we really enjoyed playing together, it was just that we didn’t have the time to really become a band and do it. What did you think of Van Halen’s “Burning Rome” after-concert parties? Are they as crazy as their image suggests? Yeah, they are. Every bit as crazy [chuckles]. Yup! That was kind of like their way to show us that they were accepting us onto the tour. We walked into the dressing room on about the third day of the tour and there was our bowl of all-brown M&Ms. I thought that was kinda neat. 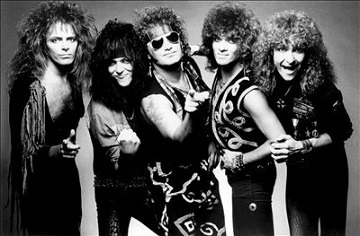 What do you think of their switch from David Lee Roth to Sammy Hagar? Well, I have to see it to really give a good opinion on that. You know, I always thought of David Lee Roth as being a very big part of Van Halen, and it’s going to be kinda hard to look at it in the same way. Because they’ve done such great stuff, and they’ve covered a lot of ground with the format that they had. It’ll be interesting to see how the guitars work in the band now, ’cause Sammy plays pretty good himself. Yeah, but he’s not gonna be playing much. As far as I know he’s going to be mainly singing. In your Guitar Player magazine feature from last August, you said that once Autograph fades you’d like to get into writing movie scores. Are you a film nut? Yes, I am. I mean when I’m at home I probably rent like four or five videos a night. I love to watch videos. And I listen to a lot of soundtracks. We’ve done five songs in movies this year [including Fright Night, Secret Admirer, and the forthcoming River Rat and Youngblood]. It’s just something that I’d eventually get into, because I think it’s a challenge to sit there and look at a film clip and be able to put music to it. I like doin’ that. Which movies have you most enjoyed the soundtracks to? Well, Tangerine Dream, I like the stuff that they do a lot. They did the soundtrack for Thief, and Sorcerer. They’ve done so many, but Thief is the one that sticks out the most with me, because whatever the mood of the scene called for, they set it up really well. I wanted to ask you about your new album. Did your instrumental, “Hammerhead”, take a long time to work out and play without mistakes? It was just pieces of a solo that I was doing live. Everybody in the band wanted me to lay down a solo, so I just decided I’d use that piece. It seemed to be going over well live, so I thougth it would go over well on tape also. It sure sounds like a keyboard at times. Yeah, that’s the kind of effect that I’m goin’ for, almost like a sequencer on a sythesizer. Which tunes from your new album seem to go over best with the kids live? The one that they seem to like the best is “Blondes in Black Cars” [the first single from the LP]. Second to that is probably “Built for Speed”. Things have gone pretty well for Autograph so far, whwat with your first album going past gold status, and your second one just out. Yeah. Sign In did really well for a debut album. And I think this one’ll do even better; hopefully it’ll go platinum. And, of course, the Crue tour will help us out a lot–we’re reaching the right kind of audience with this tour.